We design thoughtful, liveable spaces. 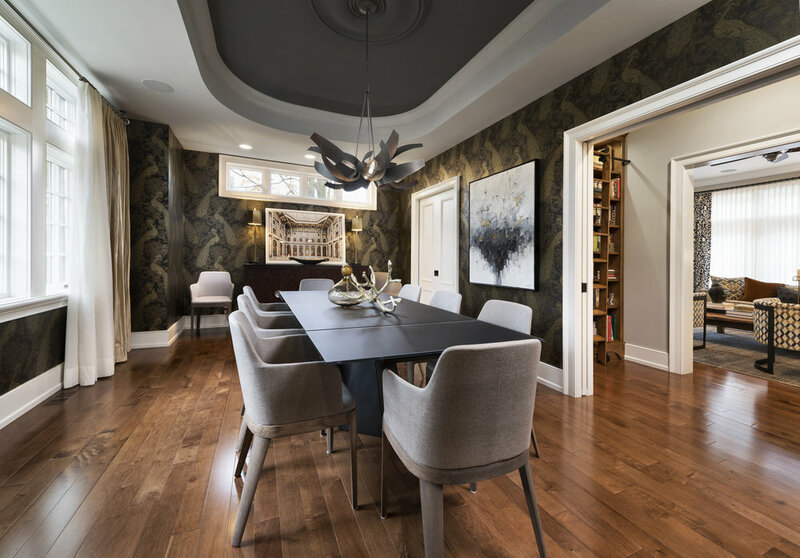 StyleHaus Interiors is an award winning full-service design firm in Ottawa, Canada. We focus on creating spaces for living that are functional, beautiful and a reflection of our client’s individual style, while delivering quality, value and exceptional customer service. We have in-depth experience working with architects and clients to create beautiful custom homes. Our expertise allows us to be involved in every aspect of your build from space planning, to cabinetry design, to furniture and decor! Everything you need for your new home. Since 2010 we have completed countless home renovations big and small and worked with teams of skilled trades. Our services range from renovating your entire home, to remodelling your kitchen or bathroom. Selecting furniture + finishes for your home can be a daunting task, and we are here to help! We shop for you and select unique pieces that reflect your individual style and taste. We offer decor services that range from paint colour selection, custom drapery and upholstery, artwork procurement, wallpaper and furniture specification. This extensive renovation for design saavy clients resulted in a new kitchen / mudroom plus 5 new bathrooms. In addition we were commissioned to furnish the home while incorporating special pieces that our clients collected on their travels. The result is a soulful mix of old and new with a play of various textures, patterns and finishes that gives the home a decidedly global vibe! A beautiful modern-classic home on the Rideau River. This large custom home, a collaboration with architect Malcolm Wildeboer, is located on the scenic banks of the Rideau River in Manotick, Ontario. Inspired by the natural surroundings and with reference to Prairie School Architecture, the design integrates formal geometry, clean lines and abundant natural materials. Richly stained cherry wood cabinetry, designed by StyleHaus, visually connects the spaces. Wide plank reclaimed elm flooring, quartzite countertops, textural grass cloth wall-coverings, luxurious but understated lighting and quality furniture pieces give the home a sense of grandeur and elegance without being pretentious. Bold use of colour and pattern make this open concept condo the ideal space for entertaining. 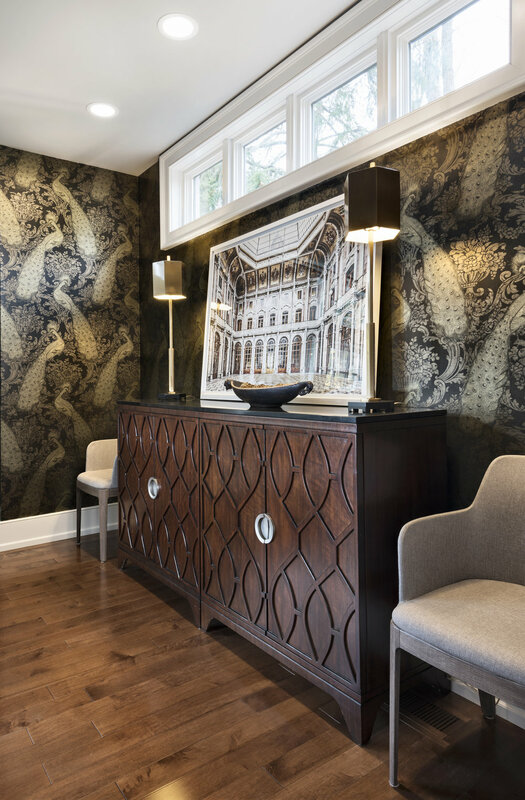 An eclectic art collection is enhanced with unique sculptural furniture pieces to create an exciting but functional home. This stunning award winning summer home on an island on the upper Ottawa River was a collaboration with architect Malcolm Wildeboer. StyleHaus enhanced the dramatic architecture with the addition of carefully curated finishes, lighting, furniture and decor. The result is a comfortable, contemporary family getaway. This large family home on the outskirts of Ottawa was updated by StyleHaus Interiors to accommodate a busy and growing family. The home lacked architectural detail so we added panel and trim detail throughout. The kitchen was updated with the addition of new upper cabinetry and backsplash and all new furnishings were selected that are comfortable but elegant and give the home a decidedly welcoming vibe! When StyleHaus first met with the client for this project the main floor of the house was a maze of smallish rooms, one containing the entry, the next, the dining room and the final room a cramped and dated kitchen. Our solution was to remove all of the walls and open up the space to provide a kitchen / dining area ideal for entertaining. Viewed from the front entry, a bespoke shelving unit, set atop cabinetry marks where the old wall to the dining room was with the new kitchen / eating area beyond. This custom new-build sits on a prominent corner lot in Ottawa’s trendy Westboro neighbourhood. The interiors are bright and contemporary with a soothing neutral colour palette. The highlight of the home is the luxurious 500 bottle wine cellar and bar service adjacent to the dining room. The kitchen was designed for cooking and entertaining and has a view into the wine cellar through a custom glass “window” between kitchen and dining areas. A hand crafted room divider in a lattice pattern separates the living room from the kitchen eating area. The master ensuite is a study in Carrera marble tile with differing textures and grain direction and is appointed with his and her bespoke vanities.